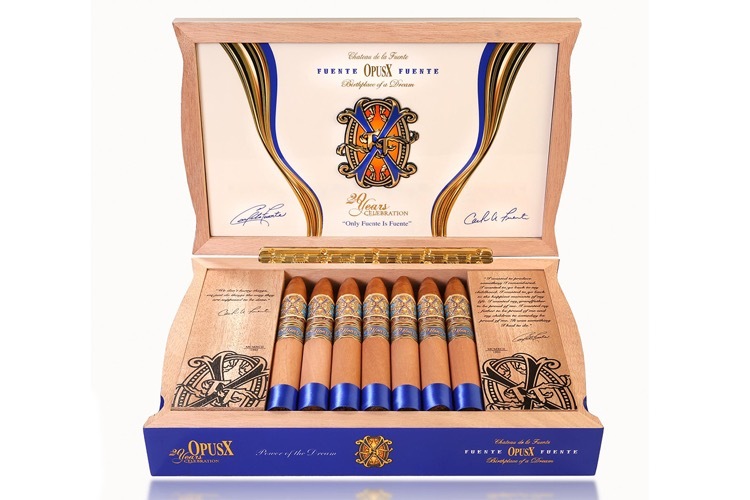 The Fuente Fuente Opus X 20 Years Celebration are heading to retailers in the USA. The packaging and the bands have changed; the new elegent colors are blue and white. Every box contains 20 cigars and the price varies, depending on the size, from $17,75 to $20 per single cigar.